Motorsports Southwest partners with Badger Race Tech. MSSW is now partnered with Simon Payne at Badger to provide professional engineering support for Wolf owners and Arrive & Drive participants. Badger is a superb resource for car setup on an advanced car like the Wolf GB08. 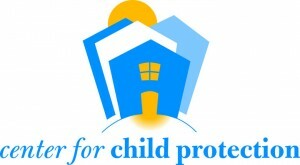 MSSW is now working with an Austin organization called the Center for Child Protection. This group provides complete and outstanding support for children identified as victims of a wide range of abuses. If you are interested in helping an exemplary organization doing invaluable work for children and can donate or volunteer, please let us know. We will be helping to support the Ride Drive Give event in March 2018 at CoTA. Have fun at the track and help a great cause at the same time! Click HERE to find out more about the Center for Child Protection and HERE for details on the 2018 Ride.Drive.Give event. If you are interested in becoming a partner contact us.